The patented technology in TurtleSkin SevereGear™ Gloves results in a glove with astonishing cut and puncture resistance, while remaining lightweight and comfortable. 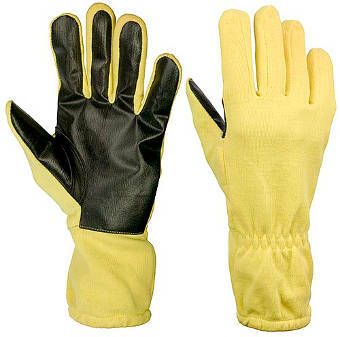 These 100% aramid gloves do not have the stiff, bulky seams found in other protective industrial gloves. This gives them outstanding protection with the dexterity and tactile sensitivity needed to perform your daily tasks. SevereGear™ Gloves feature a bonded ceramic TurtleSkin material throughout the palm for greater puncture, cut, and hand injury protection. All other areas of the glove feature an aramid knit for complete cut protection.